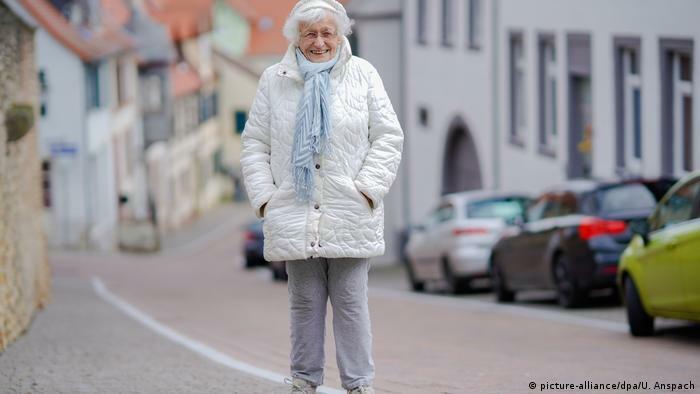 London, April 14, 2019 (AltAfrica)-A former schoolteacher Lisel Heise who has been very passionate and has long campaigned for the reopening of the swimming pool in her home town of Kirchheimbolanden is standing for council election. Born shortly after World War One, Heise is channeling her passion into local politics — in particular her campaign to have the town’s outdoor swimming pool reopened. Heise made her decision to stand after she was approached by the local grassroots group “Wir für Kibo” (roughly, “We for Kirchheimbolanden”) — which is demanding greater transparency and public involvement in local politics. Group leader Thomas Bock hopes that Heise’s popularity can help the group improve on its one seat out of 24 on the town council. She describes the pool — which closed in 2011 — as a children’s paradise that the town should never have let go. The only other pool locally is an indoor one, which closes for the summer. As for her wider political views, Heise is pro-European and thinks environmental concerns should be taken more seriously. With her candidature, Heise is following in the footsteps of her father who was a member of the council before World War Two. He was jailed for four weeks after criticizing the destruction of synagogues by the Nazi regime. The actual idea of standing as a councilor didn’t come from Heise, says Bock. It came from her son.